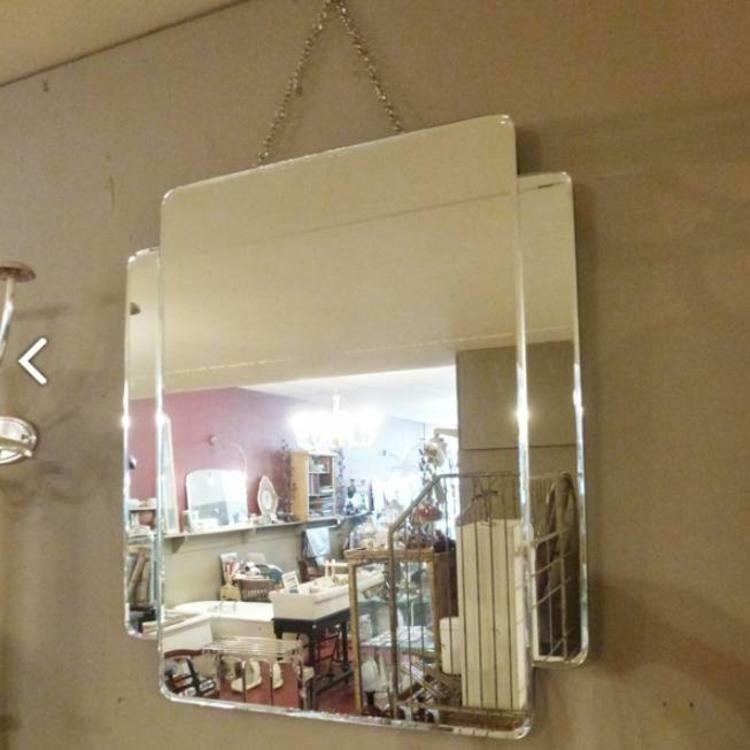 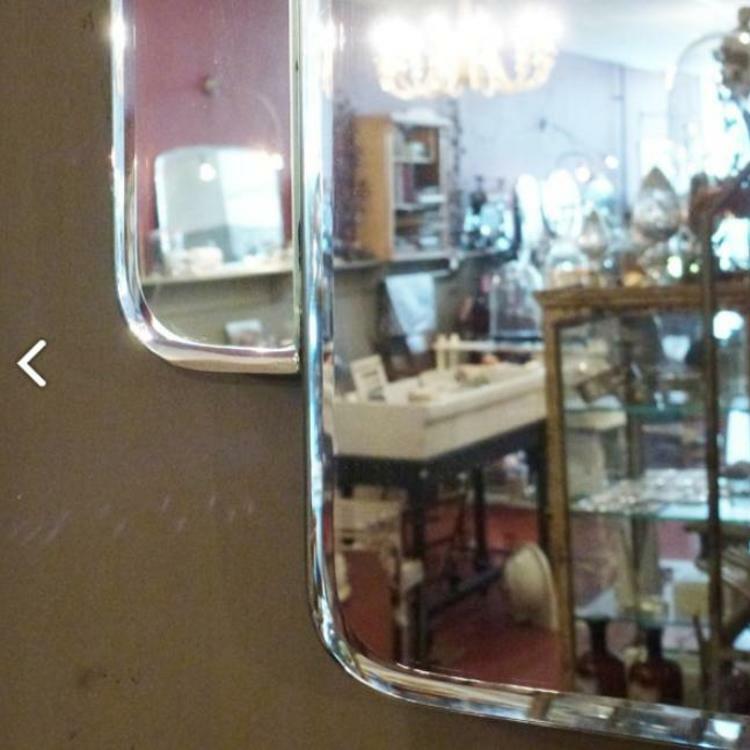 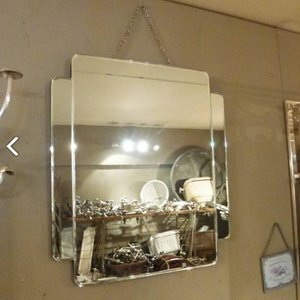 Mirror in Art Deco style with a beautiful optic effect. Mirror in Art Deco style with a beautiful optic effect. 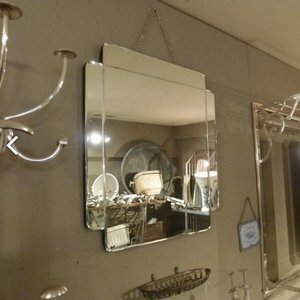 The mirror can be used both horizontally and vertically. It has wall hooks and a chain.